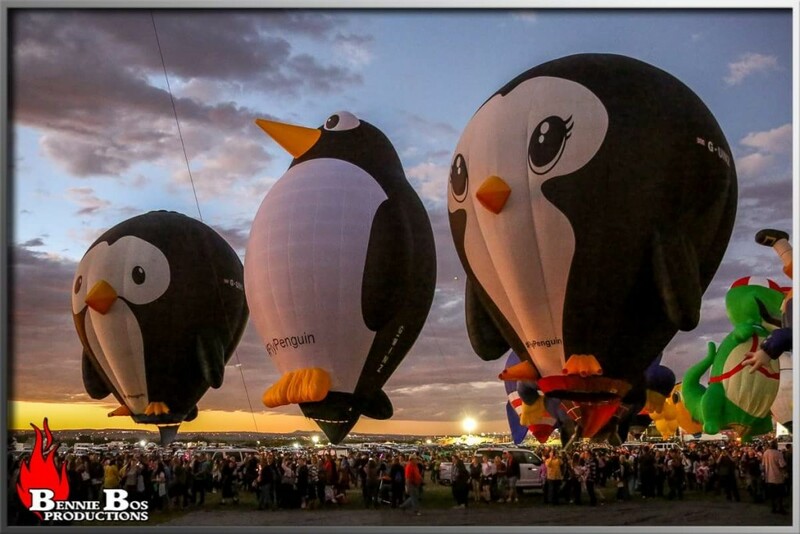 Our penguin family have arrived in New Mexico for the Albuquerque Balloon Festival! At three weeks old, having only just been inflated for the first time at the Longleat Sky Safari, Tall Steve traveled with his parents to this special event which is the largest hot air balloon festival in the world. 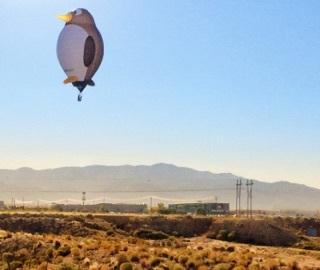 Puddles and Splash have been visiting for several years now but this is the first time they have flown as a family in Albuquerque, to the delight thousands of visitors!